Only two weeks left until the school year and my internship. I’m trying to make the best of my time until then. That means paint, paint, paint. 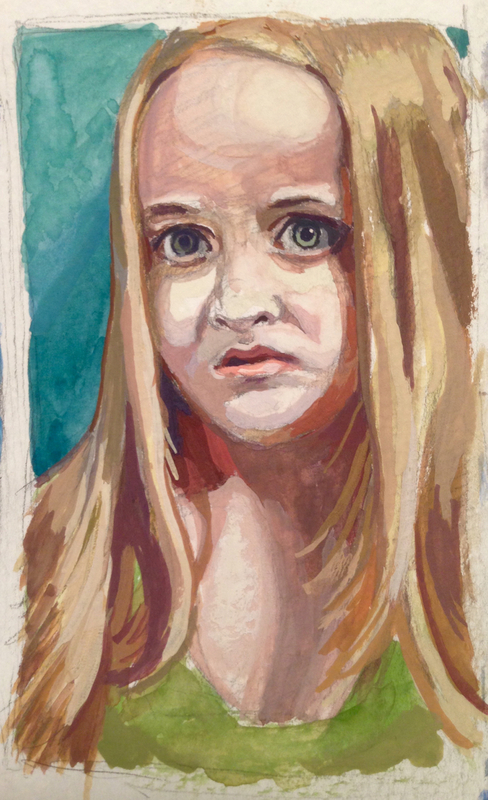 I found time for one more Reddit portrait, choosing user Hotnonsense’s photo of her grumpy daughter. 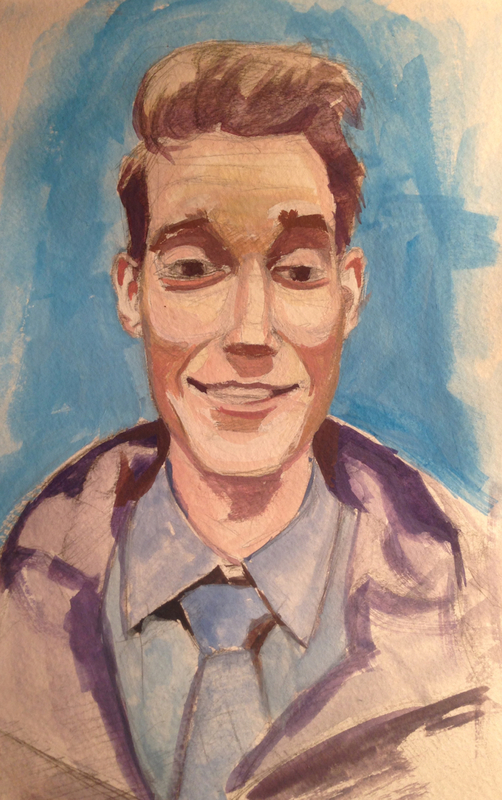 Spent about forty-five minutes on the sketch before moving to gouache. 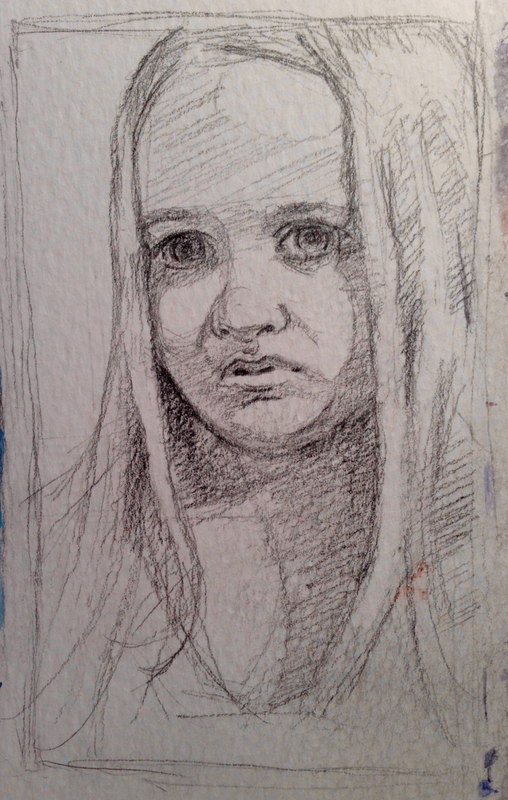 This one’s 2.5″ x 4″. The face came together piece by piece and I never felt too lost. I think I created a good likeness. Unfortunately my success floundered as I moved into the hair. I got caught up in the individual strands. The solution? Simplify. I took off my glasses, pushed back in my seat, and there they were. 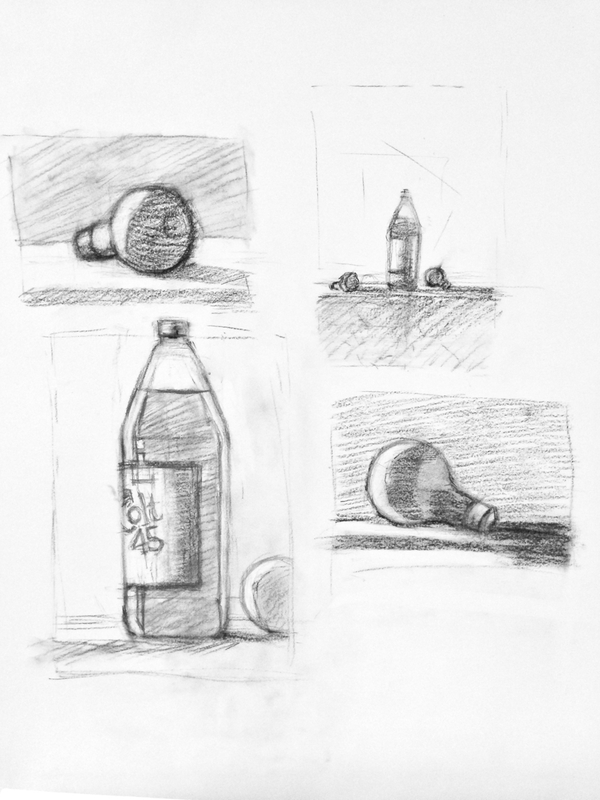 The shapes. That’s all I needed. Shapes of color solved my problems. 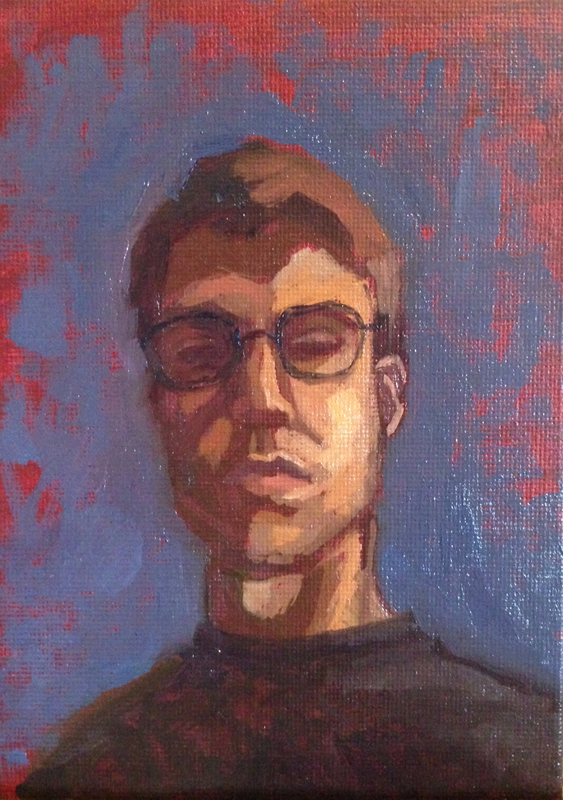 I feel as though it’s almost beneficial to be a painter that needs glasses. I don’t have to purposefully blur my eyes to simplify the subject. My eyes already naturally do that. In the past I’ve caught myself unconsciously with my glasses halfway down my nose so I can quickly glance back and forth between seeing the subject in-focus and out-of-focus. I look like an old man when I do that. But it makes things so much easier. When I’m browsing the submissions on RedditGetsDrawn I try to look for photos with interesting lighting first and then photos of pets second. It seems that people are less critical of the likeness when you paint their pet. 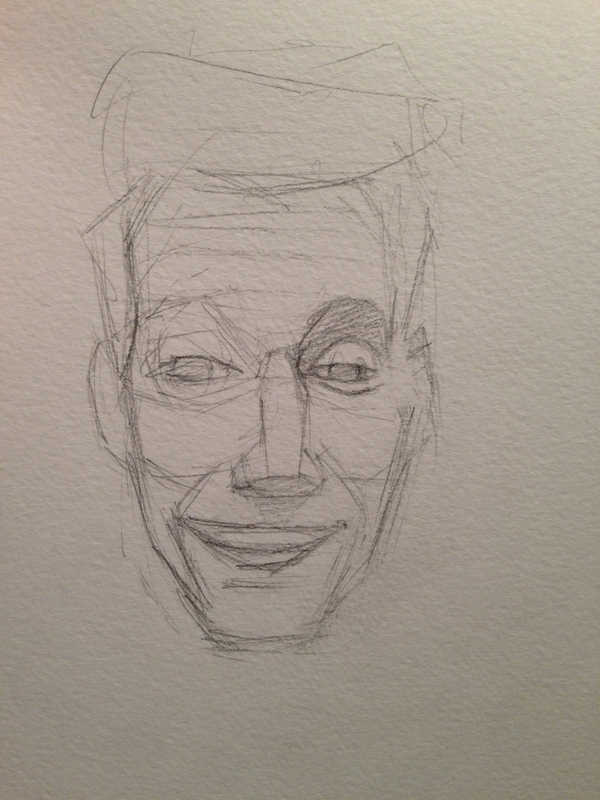 In contrast, a strong resemblance is wanted when you’re drawing a person. 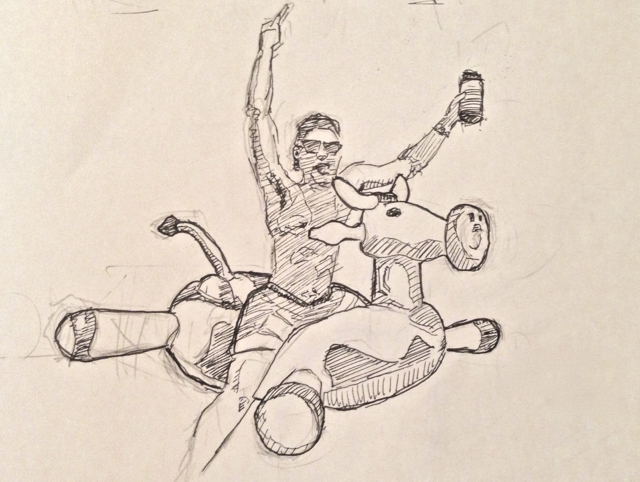 Take the Tom Brady courtroom sketch incident that occurred just yesterday, for example. 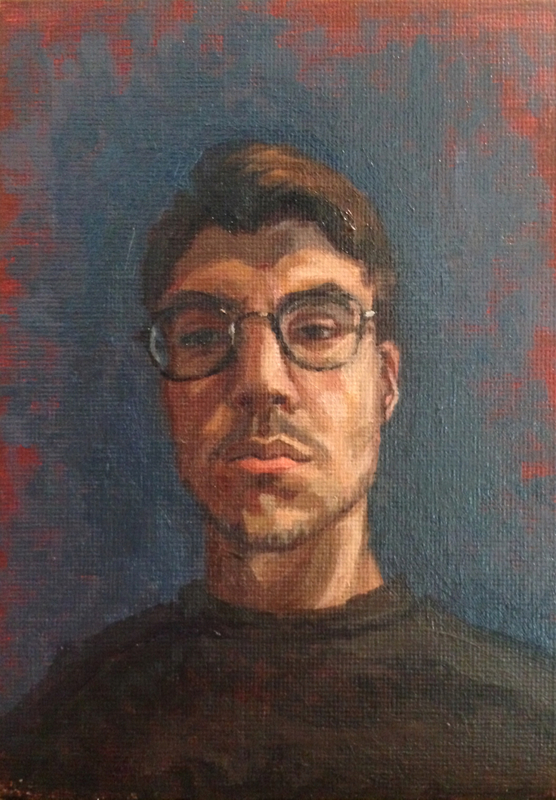 The artist has been publicly shamed because their depiction wasn’t perfect. It made me a little grumpy knowing how hard it is to draw and capture a scene quickly and then seeing the hate the artist is receiving. 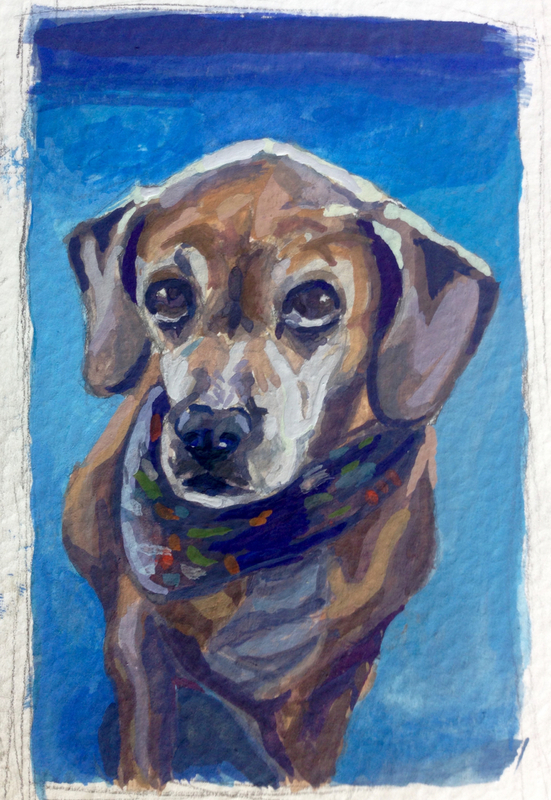 Anyway, today I worked on a gouache painting of user jdmb3641’s dog. It took roughly two hours to complete this 2″ x 3.5″ puppy. It was even smaller than my last gouache painting. I’m starting to realize how hard it is to push the darks on gouache. I may need to invest in a black so I can mix it with other colors to get some solid darks. This week was dedicated to painting. It was my first full week to get back in the swing of things. I have a painting I’m working on that should be done in the next couple of weeks. I’ve had a lot of fun with it, so stay tuned. 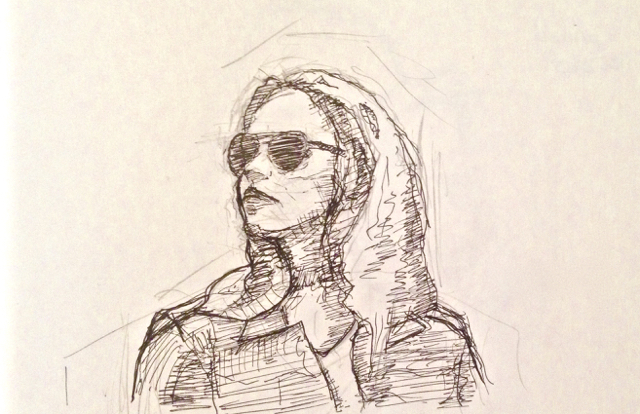 When I wasn’t painting I did a couple drawings of friends on Facebook. It’s been over a year since I posted a status offering to draw profile pictures and I’m still working through the backlog of requests. When I posted these two drawings, it brought my status back into the newsfeed and I received a couple more requests. I’m keeping a list of everyone. Bit by bit I’m crossing off names. 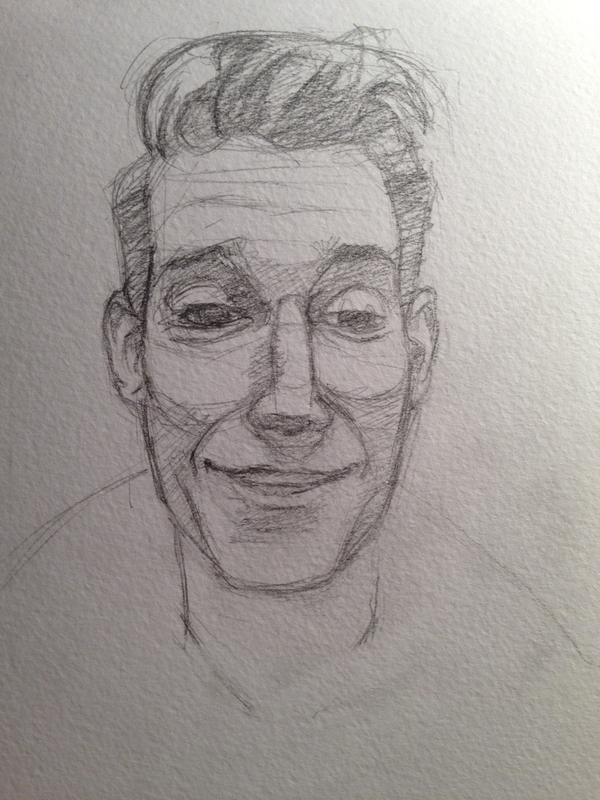 On July 1st I found myself with a bit of extra time and decided to whip out a quick self-portrait. 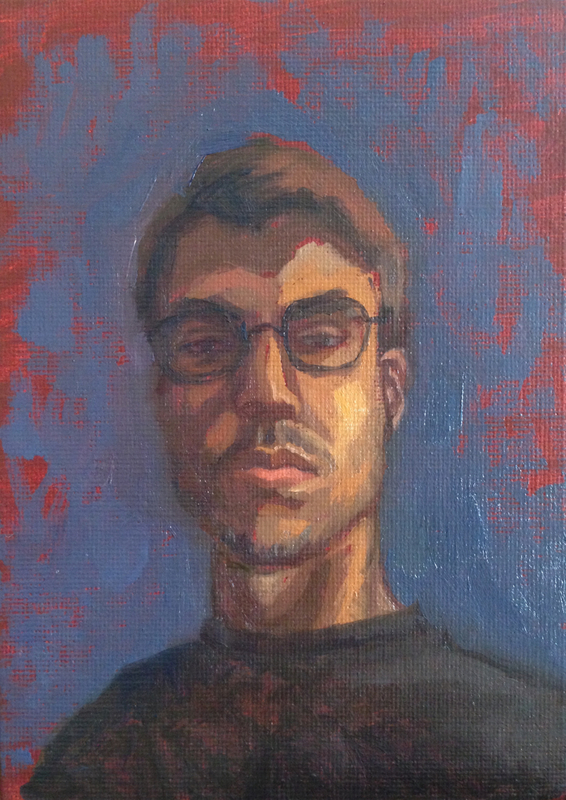 Since I didn’t want to spend too much time on it, I used one of my 5″ x 7″ canvas boards. 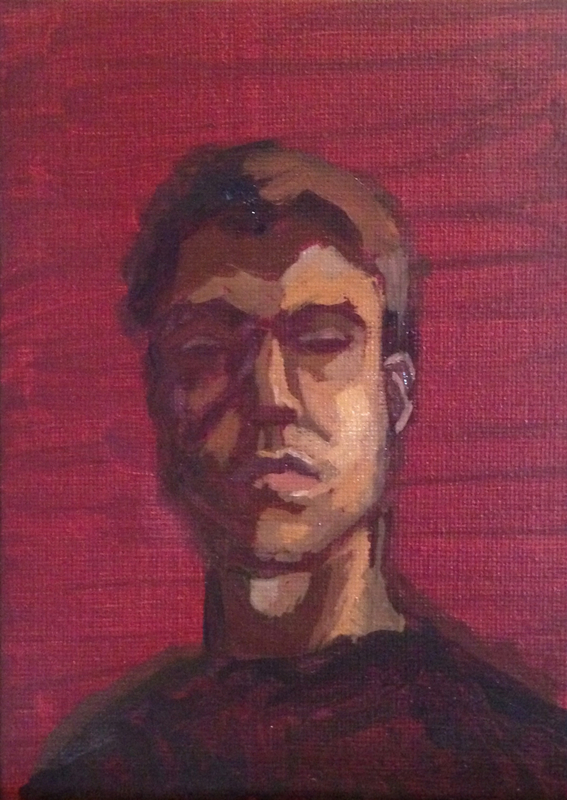 The portrait was primarily a practice in value and light. I first blocked in the darks with a wash of burnt umber. Trying to keep it simple, I used a few lighter colors to establish the lights and mid-tones. With everything blocked in, I threw in some background color to provide more clarity in the portrait. With the blue there I could gauge how dark I needed the face to be. 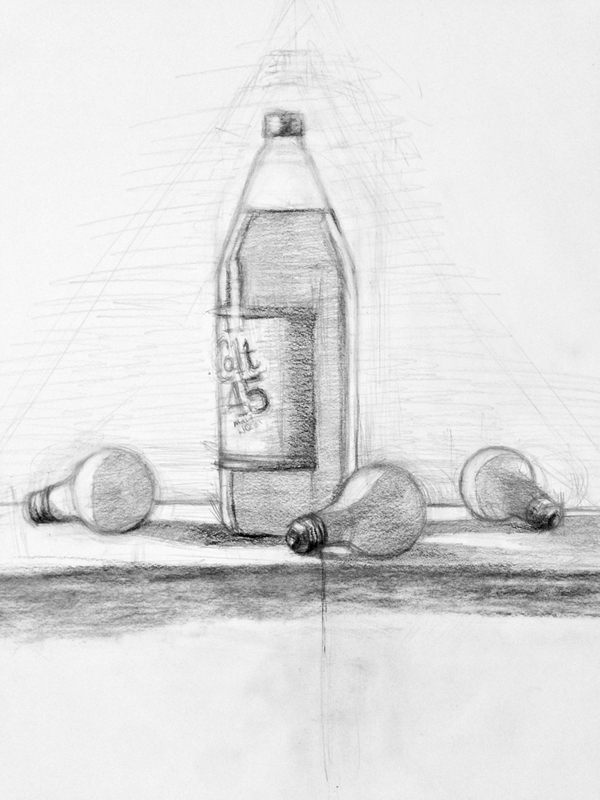 I focused on getting my features correct and turning up the intensity of the lights. At this point the background had dried into a nice greenish-blue. I kept it that way. The end result is a rather fair portrait. I think I did a decent job of capturing my likeness, with my only complaint being that in hindsight the distance between my upper lip and the bottom of my nose may be too great. 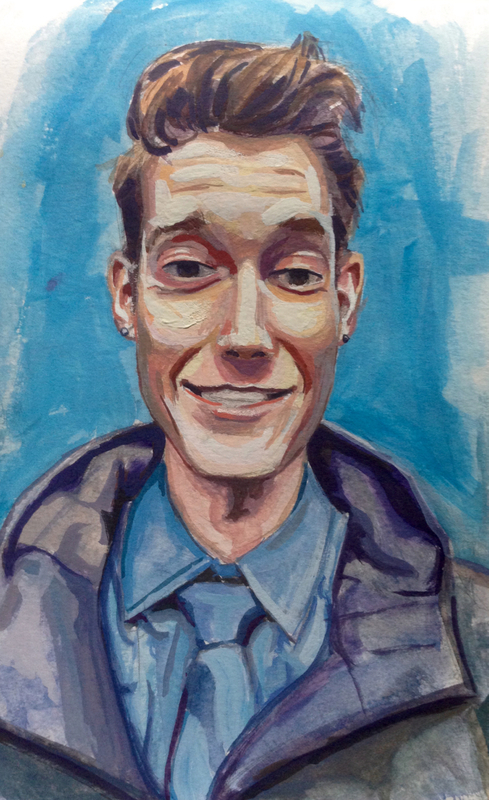 I’ll have to do a couple more portraits this size over the summer. They’re great practice. On the 26th I finished my last summer class and now I’m able to fully enjoy the weather. The next day we headed up north to visit my girlfriend’s sister in Kennebunk, Maine. She lives a few minutes from Parsons Beach, so we hopped on over there and spent the early afternoon soaking up the sun. I actually soaked up too much sun. The sunburns have been annoying. Time to get the season really started and buy some sunscreen. We were there for about three hours and I probably got two hours of quality painting in. Spent a good thirty minutes at the start figuring out what to paint. 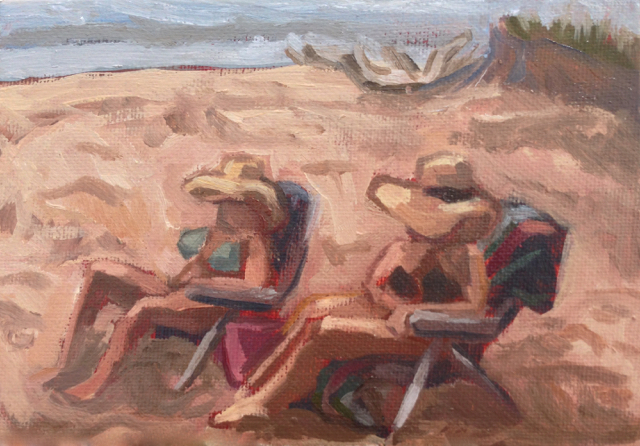 Eventually I settled in and painted my girlfriend and her sister. 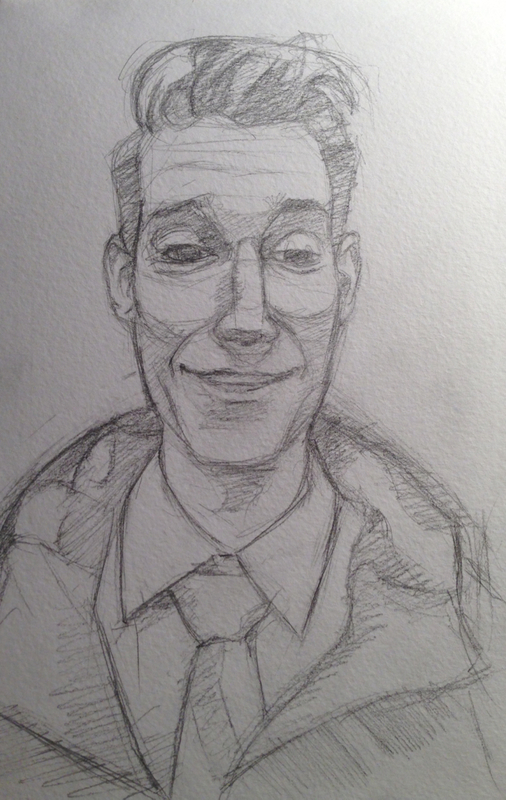 It came out pretty decent for a sketch. 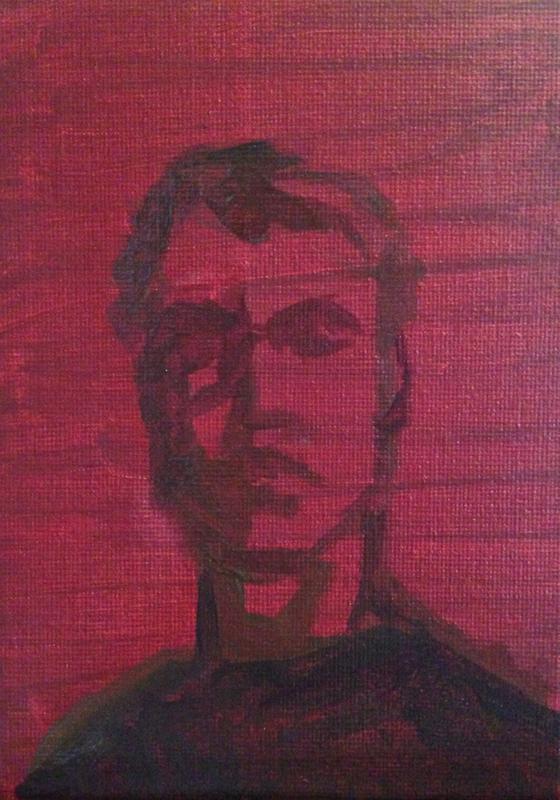 Used a 5″ x 7″ panel. 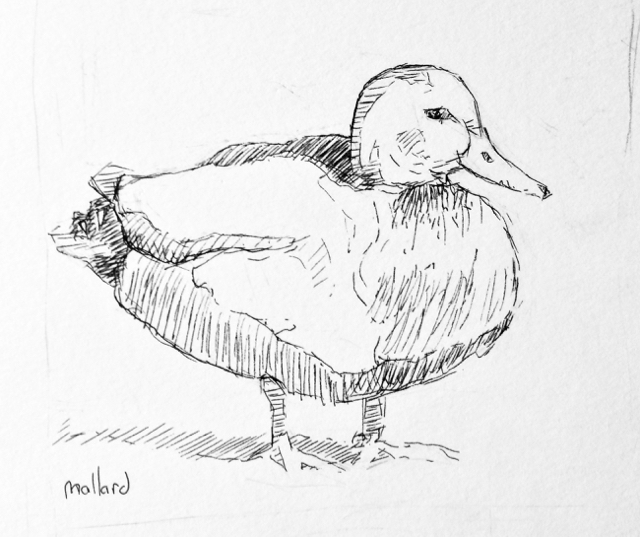 On Sunday I squeezed in a couple sketches of mallard ducks for Sketch Daily’s summer prompt. Down behind my apartment in Newmarket, New Hampshire is a boat launch that slides out into the Lamprey River. 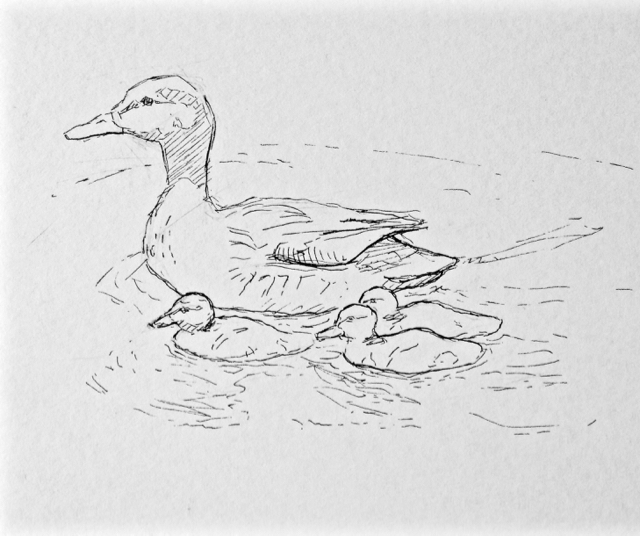 Any time of the year a flock of ducks can be seen waddling around the area. During the winter they lay across the pavement for warmth. During the summer they hangout in the adjacent park and beg for breadcrumbs. I park my car down there some days and they always shuffle on over to say hello and see if I have anything to share. Guess they were my inspiration. Though I didn’t have any pictures of them, so I had to make do with what I found through a Google search.